A review of Crystal Equity Research’s novel alternative energy indices found a number of companies that have delivered exceptional price appreciation over the last year. Several were reviewed in the recent post “Alternative Returns” on May 8th. Expectations for growth appeared to be driving the price movement, so the last post “Quest for Growth” featured four companies from the indices for which analysts have posted high growth predictions. Not unexpectedly some investors have already bid higher the stocks of those promising companies. In this post we go back to the lists to find the companies with both high growth predictions and low price-earnings multiples. Methanex Corporation (MEOH: Nasdaq) products and sells methanol all over the world. The shares are priced at 12.3 times the consensus earnings estimate for 2018, which is well below the 24.9 price-earnings multiple of the S&P 500 Mid Cap Index. Investors might suspect the stock is ‘on sale’ for a reason. Methanex earned a 15.6% operating profit margin on sales in 2017. Even more impress was conversion of 25.7% of revenue to operating cash flow in the year. 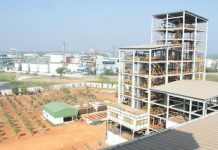 The dozen or so analysts who have published research on Methanex appear to see a bright future for the company, predicting 13.0% compound annual growth over the next five years. The group has been inching up quarterly earnings estimates over the last few months, suggesting Methanex is delivering on promised earnings. Clearly financial performance is not a hindrance to full valuation. Methanex shares are probably getting a cold shoulder because of the commodity nature of its product and the risk of cyclical downturn. The industrial gases market trades near a multiple range of 17.0 to 19.0, which still makes Methanex look like a bargain. Utilities need to monitor their services. Itron, Inc. (ITRI: Nasdaq) provides solutions to measure, manage and analyze electricity, gas and water usage. The company has been a leader in efficiency and conservation, putting innovation into meters and communications. Most recently the company entered into a new agreement with Mississippi Power, a subsidiary of Southern Company (SO: NYSE), to deploy a platform that will connect an advanced metering infrastructure for Mississippi Power’s customers. 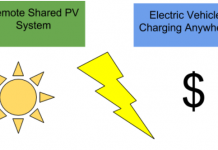 Itron’s platform is expected to improve electric grid reliability and create efficiencies in power usage. The back-office features are provided in the cloud as software-as-a-service. Mississippi Power is trying to modernize its grid system in order to better deal with the extreme weather conditions that are found in the state. Itron earned 7.9% operating profit on $2.0 billion in sales in 2017. Sales-to-cash conversion was 9.5%. Strong cash generation helps support the company’s debt load, which put the debt-to-equity ratio at 76.24 at the end of December 2017. Itron’s shares are valued at 13.7 times expected earnings in 2018. This compares to the electrical equipment sector, which has an average price-earnings multiple of 23.65. Itron’s valuation seems like a good bargain give that analysts following the company expect 12.7% compound annual growth over the next five years. The solar industry has been on a tear in recent months. 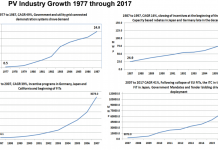 Rising demand is stoking the fires of interest in the sector even as an oversupply of solar modules in the U.S. has pressured manufacturers to reduce prices. In recent weeks solar companies has received a boost from a new mandate in California requiring solar panels on most new homes. The move has declared rooftop solar as a mainstream energy source and not just a luxury for a few wealthy homeowners. Investors have already responded to the California news. However, our search found one solar module producer that is still trading at an attractive multiple. RenaSolar Ltd. (SOL: NYSE) has had its share of trouble, but the single analyst who has stuck by the company sees a strong year ahead and expects growth to reach 15% per year over the next five years. 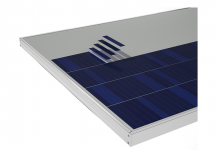 Earlier this month the company received an equity investment to support its solar power projects in China. The company expects to have between 350 megawatts to 400 megawatts of power operations in China by the end of 2018. The shares trade at 9.20 times the consensus estimate. The average price-earnings ratio for the photovoltaic industry is 22.65. Despite what is clearly an improved outlook for RenaSolar, the shares have not responded. The discrepancy between fundamental reality and valuation provides an opportunity for risk tolerant investors. Insulation often gets overlooked as an energy efficiency solution. 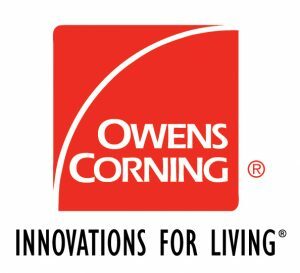 Owens Corning (OC: NYSE) produces and sells glass fiber reinforcements and other composites for use in residential and commercial buildings. Its product lines fall in three categories: composites, insulation and roofing. The company earned a 12.23% operating profit margin on $6.4 billion in sales in the year 2017. Even more impressive was the conversion of 16% of sales to operating cash flow. Owens Corning has lost market share in recent years as a major customer sought to diversify its supply chain for better pricing. The competitors that had taken some of the company’s business have run out of capacity and Owens Corning is now taking back market share. Owens Corning is better positioned with standby production capacity. The details of building sector supply chain may be missed by some investors. This might be one of the reasons Owens Corning’s fundamental performance has improved, but investors have yet to bid the share price higher. The shares trade at 9.71 times the consensus estimate for 2018. This compares to an average of 28.83 for the building materials industry. Next post we look again at value in alternative energy companies from the perspective of growth.